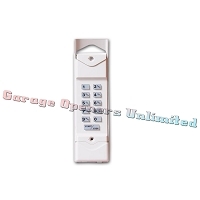 The Model MDKP Exterior Wireless Keypad can transmit a unique signal for each 1-6 digit PIN code entered. It has a built-in radio transmitter with a 250-foot range in line-of-sight conditions. Access codes are programmed into the access controller or receiver, the maximum number of codes possible depends on the receiver model used. 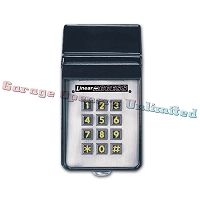 The Model MDTK Keypad Transmitter is one of LinearÃ Æ Ã Â¢Ã Â¢Ã¢â ¬Å¡Ã Â¬Ã Â¢Ã¢â ¬Å¾Ã Â¢s MegaCode series of wireless radio controls designed for use with automatic garage door and gate operators. 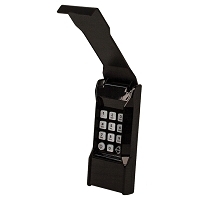 The MegaCode radio format provides unparalleled security with more than a million different codes.